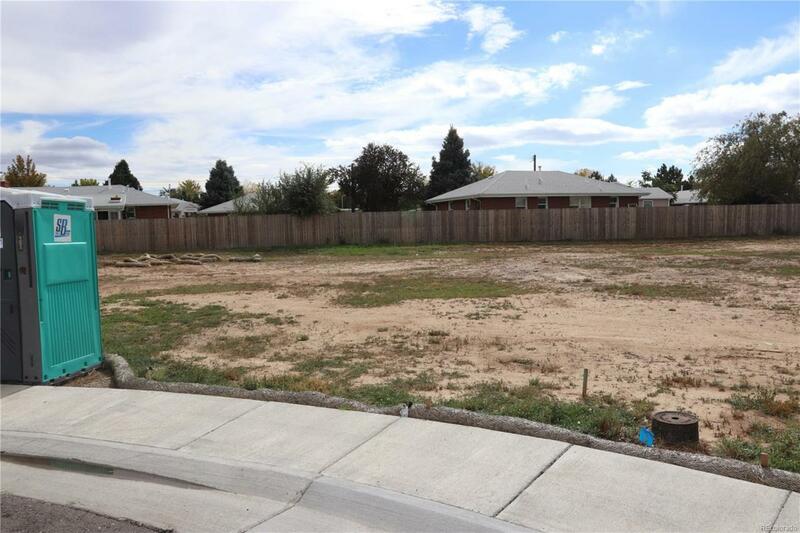 ZIP CODE IS 80011 - Builder / Developer is selling remaining 4 lots of 8 lot cul-de-sac, and would like to sell all 4 lots together, or contiguous 2 lots. Lots range in size from .18 to .24 Acres. MLS #2944535, #5665152, #7392127, #6886859. These home sites were developed around Zero Energy Ready, utilizing Geothermal for Heating/Cooling & Solar Photovoltaics for primary source of electricity. Electric, Cable, Water, and Sewer are in place, but will require associated Tap Fees. 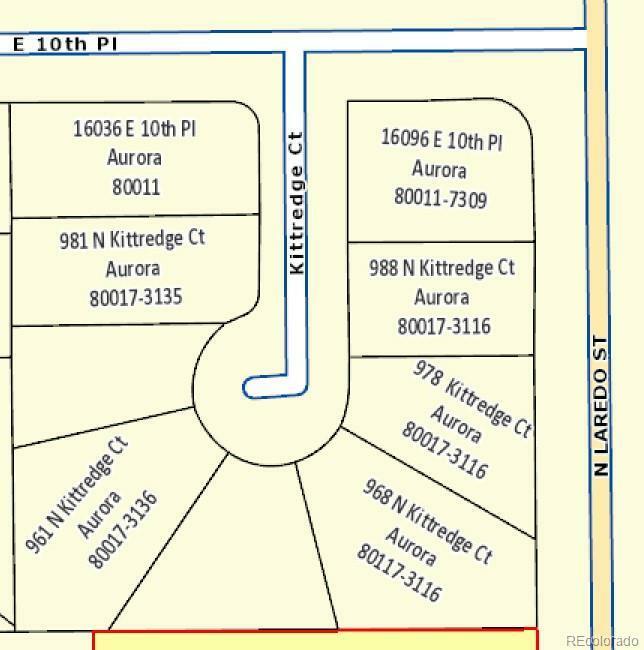 Home Plans are available for each lot, with conceptual plans located on https://kittredgecourt.net/ Developer is open to consulting with Buyer to assist with continuing NETZERO building plans. 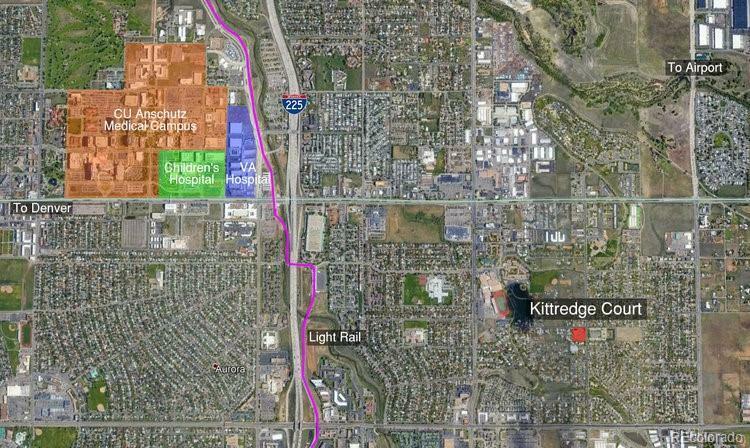 A great Aurora location near Anschutz Medical Center, University of Colorado, the North Gate of Buckley AFB, and the newly completed VA Hospital. A 25 min Rail commute to downtown Denver via the "A" Line, 5 min to beautiful Norfolk Glen Park, and 12 min to Denver International Airport.